This product is available for purchase to LOX Professionals only, if you are a LOX Professional please login here, if you are interested in becoming certified please click here. 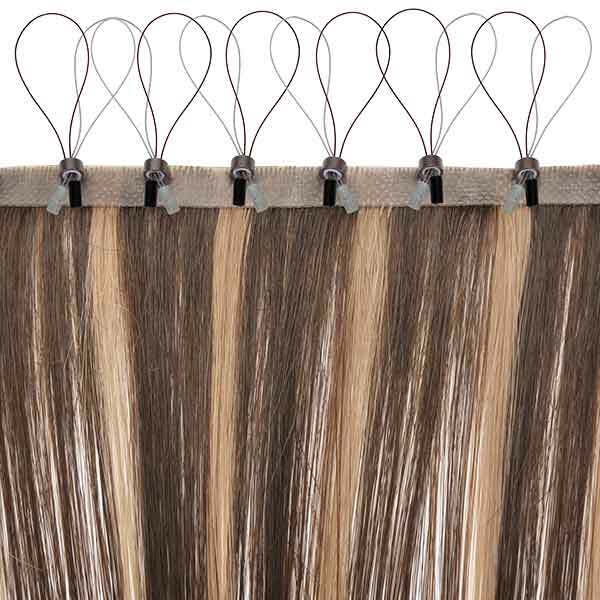 Our handmade Skin Weft Remy Hair Extensions are hand tied onto a small and seamless mesh strip. 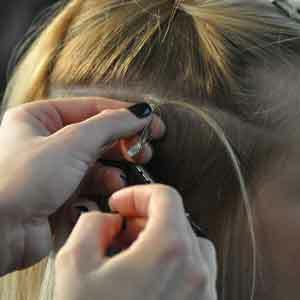 A very thin layer of polyurethane is applied to the weft, mimicking the look and flexibility of the human scalp. Silicone lined aluminum and zinc micro beads are then hand sewn onto the extensions. The extensions are easily applied to the natural hair with our Signature LOX Loop Method to achieve a more voluminous look and a seamless finish! Applied Using our LOX Loop Method in 1 – 2 Hours! Choose between 18 and 22 inch hair. Choose between straight and wavy hair. 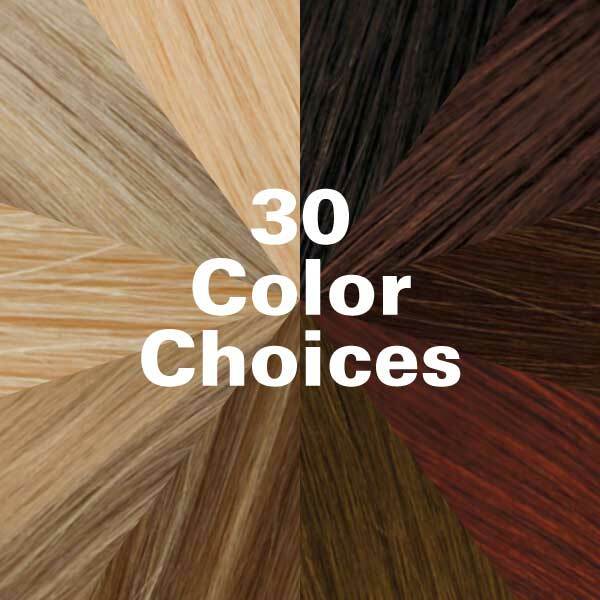 Our 30 solid and pre-blended colors to choose from allow you total freedom to enhance your natural hair. Our blends are a 3-to-1 mix; i.e. color 22/10 is 3 parts 22 and 1 part 10. LOX Skin Weft Remy Hair Extensions are designed to both look and feel natural, making it easy to maximize hair volume and length without adding bulk. Remy Hair means that each hair is attached with all the cuticles facing in its natural direction and intact. 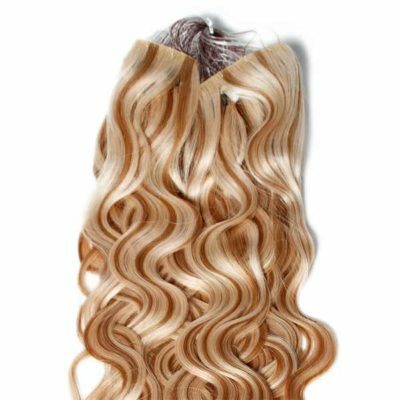 Having Remy Human Hair Clip-In Extensions means that they will remain tangle free with the highest quality, designed to last you up to year or longer. Click here to find out more. 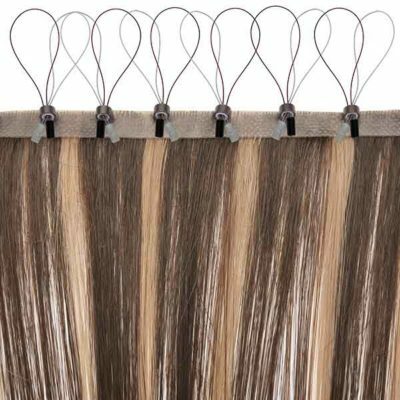 LOX Micro Bead Skin Weft Remy Hair Extensions are the best hair extensions for coarse hair. The rows are seamless at the scalp, but build weight to easily blend in with this hair type. 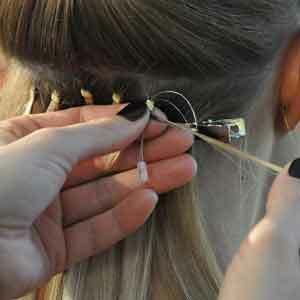 How often should Micro Bead Skin Weft Remy Hair Extensions be lifted? 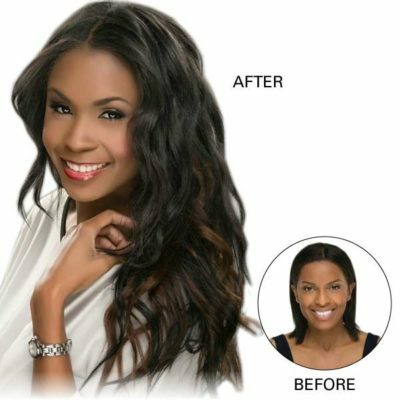 LOX Micro Bead Skin Weft Remy Hair Extensions must be lifted every 4-8 weeks. This time schedule normally coincides with the client’s coloring schedule. Please be aware by coloring our product you will have altered the product, and as our warranty states any alterations to the product voids the manufacturers warranty. Should you desire to color the extensions, we recommend you read our tips on how to color your LOX prior to the process, and always use a test strand for a safe result. 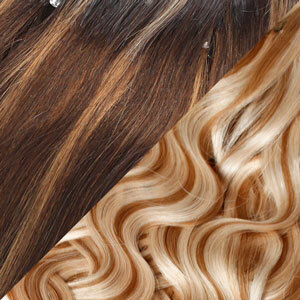 The gold standard 100% micro bead Remy Hair extensions are safe to color. Please note that LOX cannot replace or refund any product that has been colored or chemically treated. 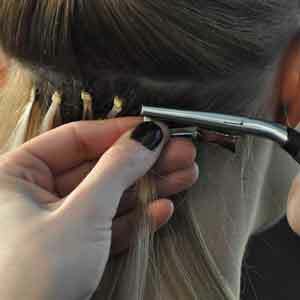 We recommend using a professional hair colorist only when trying to blend the hair extensions with your natural hair. When coloring the extensions, it is recommended you use ammonia free, demi or a semi- permanent color to prevent any dryness. 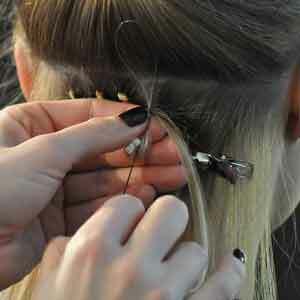 We recommend adding ¼ gold into your formula to prevent extensions from picking up too much of a neutral /cool tone. We never recommend lightening the extensions, as they have already undergone chemical processing and further treatment will sacrifice the integrity of your hair extensions. We always recommend ordering the hair in a lighter shade, and then darkening them with a gentler product if necessary. If you need to lighten the hair, a non-ammonia lightener is best with (no more than 20 volume peroxide.) Prior to coloring the entire set of hair extensions, we suggest testing the hair color on a small section of hair to make sure your color results are what you desire. 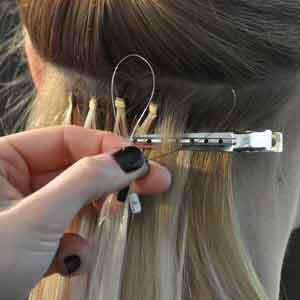 How many grams come in each package of the Micro Bead Skin Weft Remy Hair Extensions? 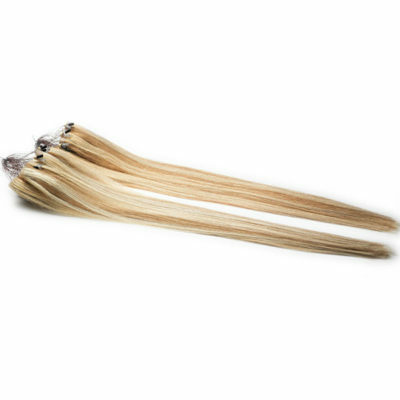 The Micro Bead Skin Weft Remy Hair Extensions contains 100 -120 grams of hair, depending on the hair length and style. Some women choose to order multiple packs for a thicker look. I have had several applications of the LOX Wefts from my stylist, and I really love the quality of the product. I have had extensions before from different companies and nothing is quite as nice. I wear my hair wavy and straight and its perfect for both. I have been wearing LOX for the past five years, and absolutely love the way they look and feel in my hair. I have worn a few other types, but these are my favorite. LOX Extensions are comfortable, affordable, and believable.